Any online space where people can interact with one another is considered part of the social web. The networks are created by social networking tools, easy-to-use platforms that allow people to connect online. Where online is the DAVA? Why are we using social networking? 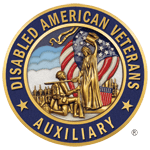 The strength of the DAVA has always been our individual members, the veterans we serve and those who support our mission. You make the DAVA what it is today, and you will steer our course into the future. Social networking sites and tools allow us to connect with you on an individual basis at the place where your life intersects with our mission. We want to join these conversations and find out how better to serve your needs. We read and learn from every conversation. By adopting social networking, we’re making it easier for you to tell us how to improve the DAVA.